Do Bears S**t in the Woods? An American company, dealing in Waste Disposal and actually being called “Blue Bear“, asked for an art print of this little piece I did years ago!! 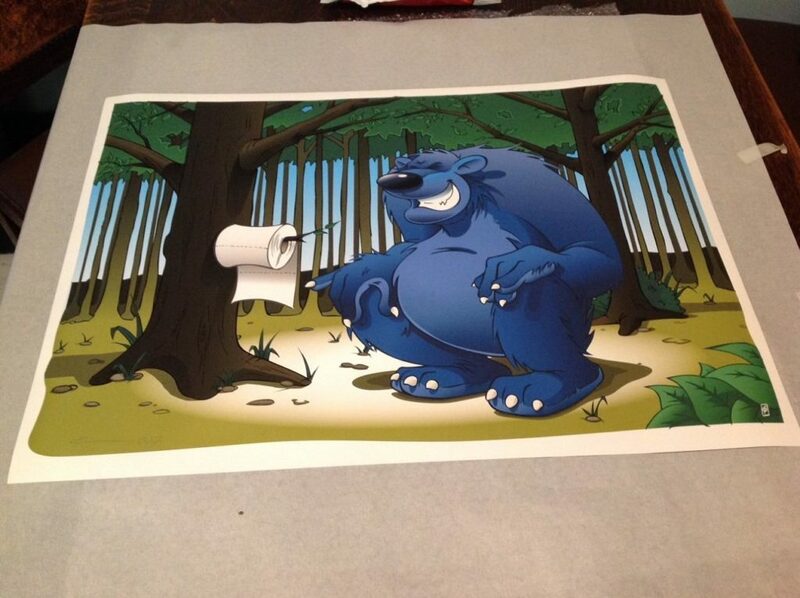 “Do Bears S**t in the Woods?” I was on sale as a vector stock image at many places, but they wished to have a quality art print doing. So I obliged.